I've shucked a lot of corn in my life. 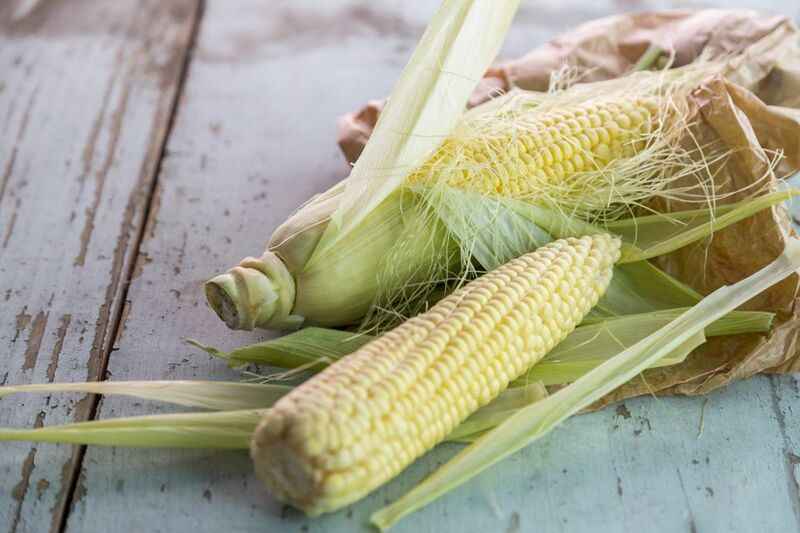 As a kid, our big extended family would gather at our cabin on summer weekends, and it was my job to shuck however many ears of fresh sweet corn everyone bought at farm stands on the way north. Below is the method that I find works best, quickest, and without external technology, while still passing my grandmother's test for being silk-free. I've watched people gently peel back one layer of husk at a time. It pains me. Note: Some people like to blast corn ears in a microwave for 2 or 3 minutes first since the steam created makes the cobs super easy to shuck. It works, but microwaves aren't always available and I don't always want my corn a bit cooked before I get started with it. 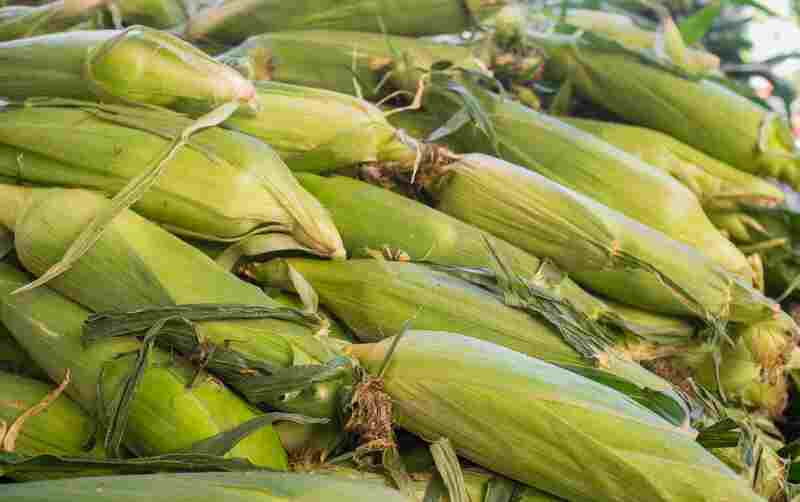 Look for ears of corn with firm, fresh husks that hold tightly to the corn. The ends of the husks should look freshly cut. The silk strands sticking out the top can, oddly enough, be browned and wilting. Just avoid ones where any real dampness hasn't descended to the husks. If possible, pull back part of the husk at the market to see if the kernels looks bright and smooth and plump. If I'm using the corn that day, I've even been known to shuck it at the market if they have bins set up for it. Many people husk corn by pulling off the leaves one or two at a time. That works, for sure, but it takes a lot of time. I learned long ago to go to the top of the ear, separate the silk in half, and start pulling. Pull the hunk of husks all the way down to reveal the cob full of kernels. Starting back at the top where the silk tassels are, pull down another section of husks. I can often shuck an ear of corn in just two big sections, but bigger cobs or those with particularly tight husks may need three sections. Once all the husks are pulled back to reveal the ear of corn kernels underneath, rip off the husks from the cob. There may be strands of silk clinging to the kernels. Simply pull these off. There are special brushes for this, but I've never found them all that effective. Some people recommend using a dry paper towel to catch and pull off the silks. Again, I've never found that any more effective than just picking them off with my fingers, but give it a try if you like. Repeat with any remaining ears, and then you have corn ready to use. To use the kernels on their own, see How to Cut Corn Kernels, or check out How to Cook Corn for tips on boiling, steaming, and grilling, as well as 10 Great Sweet Corn Recipes for more ideas.